The place is indeed good. Loved the app. Best part is the camera quality is superb, its not just like a supplementary feature, but a major usp. I am Punam Baluja, hailing from the City Of Gold Amritsar is now married and settled in Delhi. I am a mother of a pretty 15 yrs old daughter. Before joining Footprints i have been actively involved in education sector with an experience of over 10 years.I have worked with renowned play schools as a Principal and also worked as an Academic head in pre school franchise company.My work profile includes school operations,staff handling,framing curriculums for child care and development. 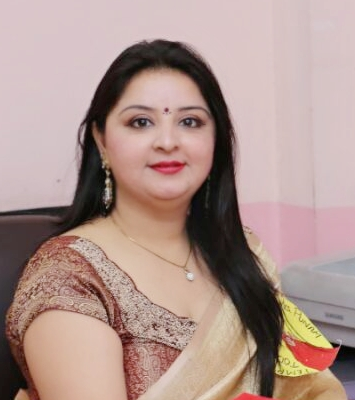 My vision here at Footprints is to share my experience, learn new things, bring about a positive change in overall development of children and fulfill the motto of being successful parenting partner.